The first few weeks of the college football season generally serve as a time to confirm preseason perceptions when it comes to player evaluation, but it’s also a time for new stars to emerge as top draft prospects. 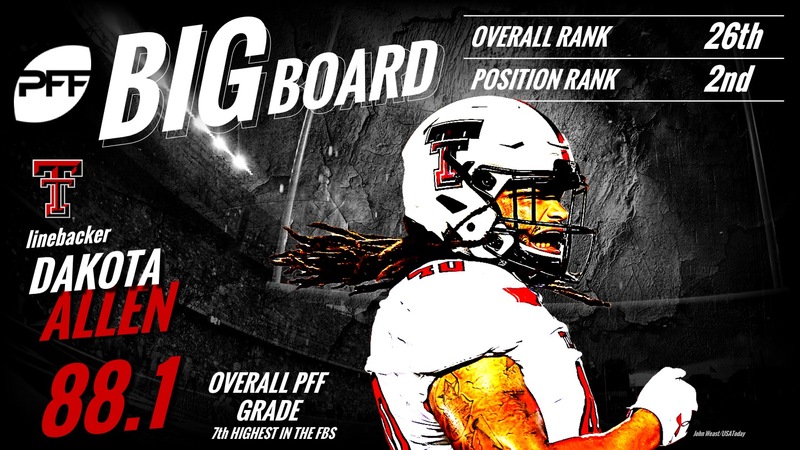 The first version of the PFF Draft Board features a healthy mix of familiar names and those who have already shown next-level ability in limited samples. 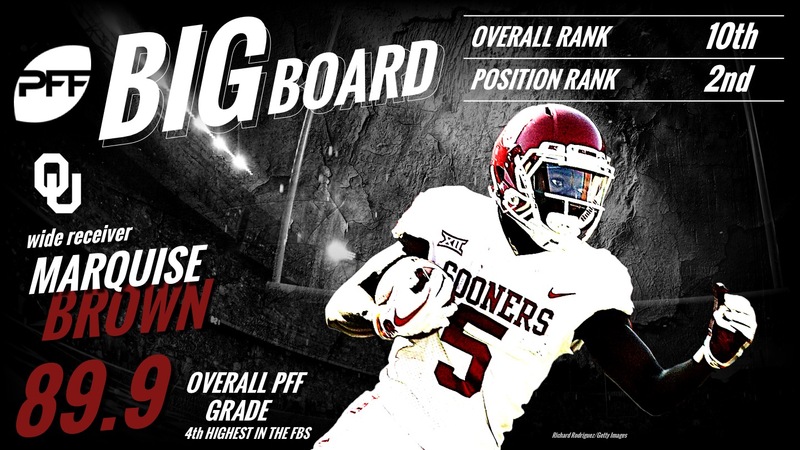 As always, the draft board is a continuous work in progress, particularly here at PFF where on-field production means so much when it comes to NFL projection. 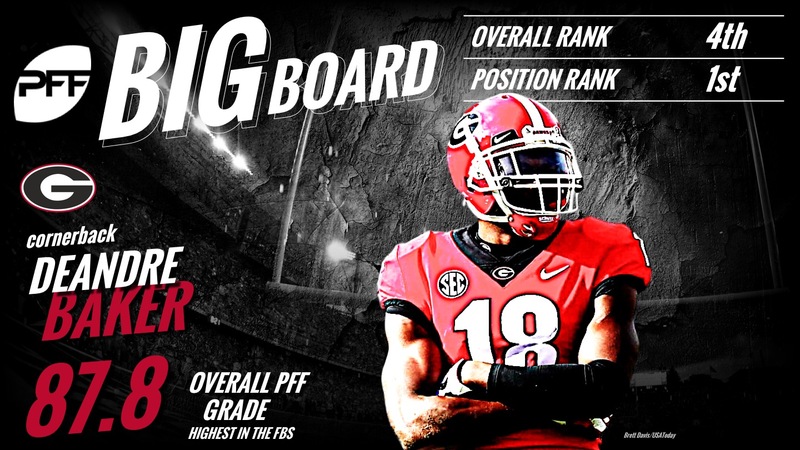 The PFF Big Board series is brought to you by Eckrich, the Official Smoked Sausage of the College Football Playoff. The nation’s best pass-rusher is at it again, winning 30.4 percent of his rushes this season to lead the country. 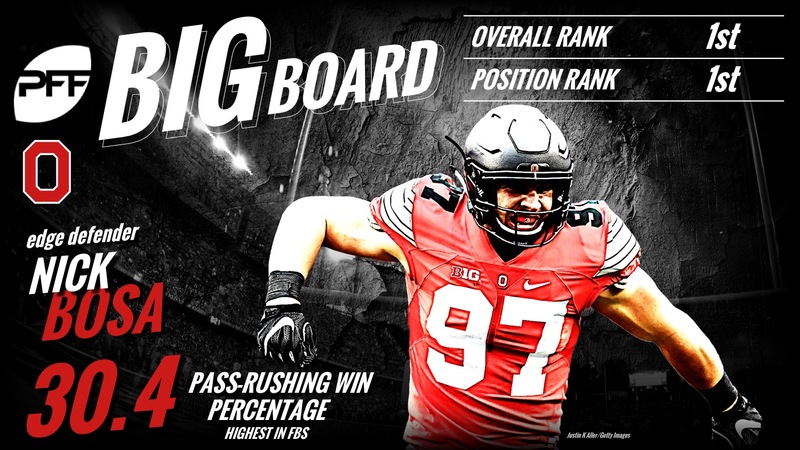 PFF pass-rush production translates well at the next level and Bosa has two-plus years of elite-level grading. 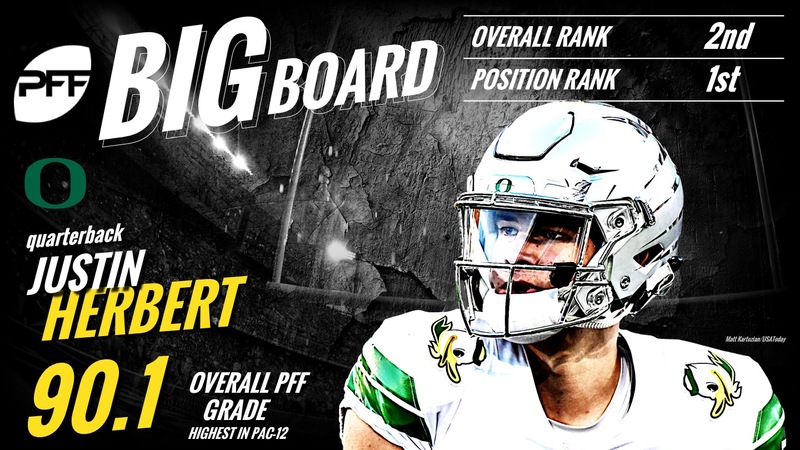 Herbert is a fine collection of tools and production as his 91.4 grade ranked second in the nation last year and he’s grading at 90.1 this season to rank third. Herbert has excellent velocity, accuracy and athleticism, and if he continues to progress, he should be the top quarterback off the board whenever he comes out for the draft. The best interior disruptor in the nation, Simmons has the best combination of pass-rushing and run-stopping when it comes to interior defensive linemen. He’s off to a strong start with a 92.1 overall grade. Our top draft-eligible cornerback coming into the season, Baker is now the top-graded corner from a production standpoint this season. He’s allowed a passer rating of just 33.2 into his coverage and he has two interceptions and two pass breakups. 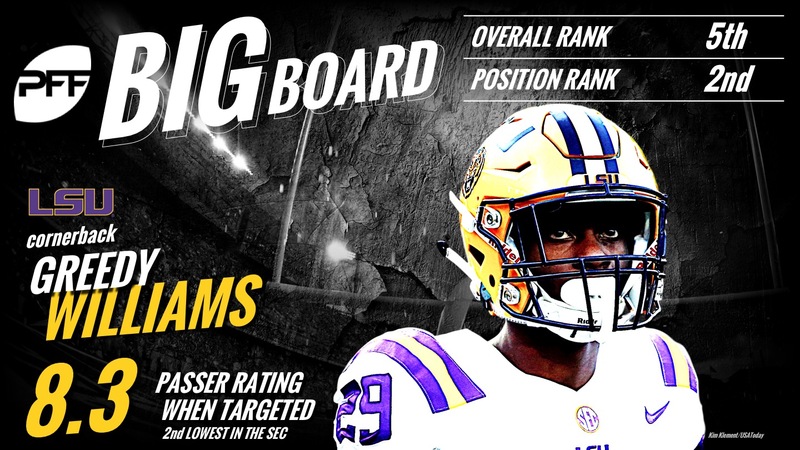 Perhaps the best press-man corner in the class, Williams has allowed only four receptions on 14 targets this season to also go with two interceptions and two pass breakups. Brown has the size and speed to create mismatches against opposing defensive backs, and Ole Miss takes advantage by running him vertically out of the slot. One of the best early-season performers, Thompson has provided a season’s worth of highlight-reel plays already in three weeks. 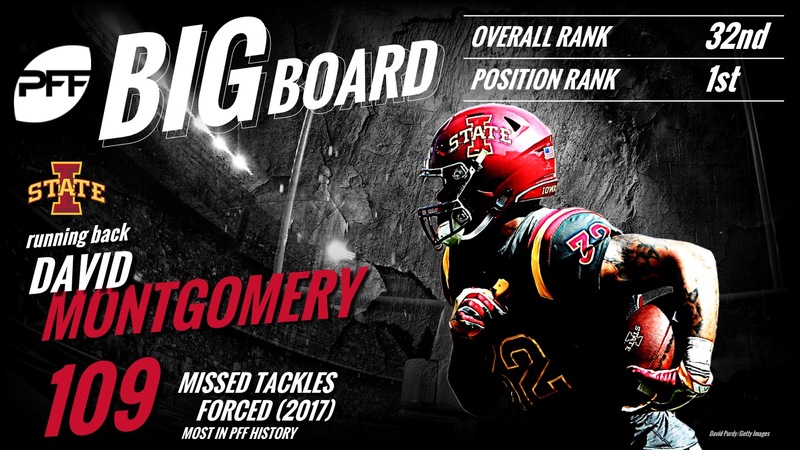 He has the nation’s top coverage grade among safeties at 92.6 and he’s made plays from center field, in the slot and while playing in the box. Oliver is outstanding against the run but we’ve had our questions when it comes to his lackluster production as a pass-rusher. 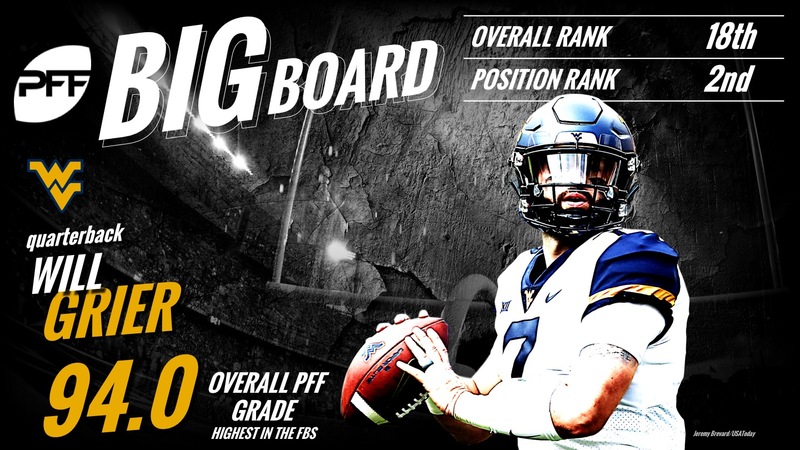 He’s off to a good start, grading at a career-high 84.1 when rushing the passer, and he’ll have to continue that improvement in order to move up the PFF draft board. Lawrence has posted the best all-around grades among Clemson defensive linemen, and the 340-pounder is at it again with an 86.1 overall grade and 12 pressures (four QB hits, eight hurries) on just 48 rushes. 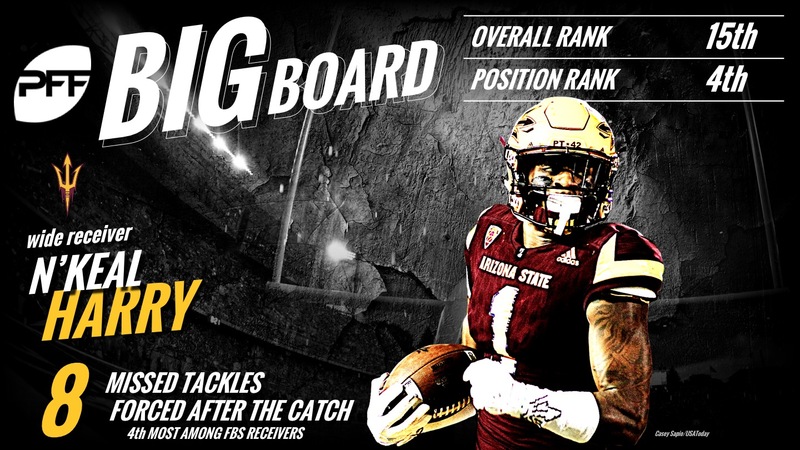 One of the nation’s top deep threats, Brown is averaging 21.7 yards per reception and his 195 receiving yards on deep (20-plus yard) passes ranks fourth in the nation. He’s an explosive player, both as a route-runner and after the catch. 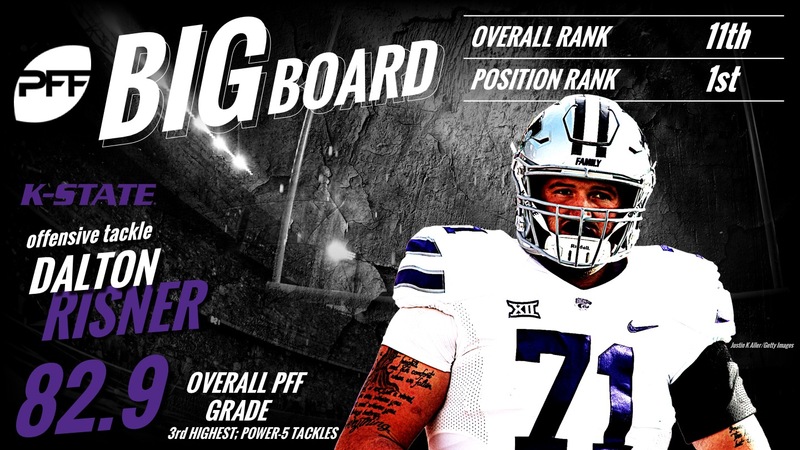 Risner has three-plus years of excellent grading under his belt, and he ranks fifth among offensive tackles with an 82.9 overall grade this year. He plays with excellent technique and he’s allowed only one pressure on 91 attempts this season. It’s all about downfield body control for Arcega-Whiteside who has an excellent feel for making acrobatic catches and using his body to shield opposing defensive backs. His 86.5 overall grade ranks ninth among receiver this season. A three-year starter, Williams has been productive since stepping on campus as a true freshman. He has the nation’s top grade among offensive tackles at 89.2 overall this season and he’s allowed only two pressures on 96 attempts so far in 2018. Bush is an athletic linebacker who can make plays all over the field. He’s been strong in underneath coverage, allowing just three yards per reception, and he’s special in and around the line of scrimmage as a blitzer where he has 33 pressures (nine sacks, three QB hits, 16 hurries) on 122 rushes over the last two seasons. Harry has excellent size and downfield ball skills and he’s shown off impressive after-the-catch ability this season, forcing eight missed tackles on only 21 receptions while averaging 7.2 yards after the catch per reception. Another breakout star for the Crimson Tide, Williams has the top grade among all defensive players as he’s dominated against the run (96.0 grade) and his 86.2 pass-rush grade ranks fifth. The redshirt sophomore is headed for stardom, but we’re also cautious as he’s only 258 snaps into his career. Jones has been as disruptive as any interior defensive lineman in the nation, tying for the lead with a 90.4 pass-rush grade behind four sacks, one QB hit and three hurries. Grier broke out with a 91.1 grade last season and he’s been the best quarterback in the nation in his two games of action. He’s an excellent seam thrower and he led the nation in big-time throws on 20-plus yard passes last year. Fant is an explosive athlete capable of creating pass-game mismatches at the next level. He must cut down on his drops as he had seven on only 37 catchable passes last year and he already has two this season on 14 catchable targets. Jelks lines up all over Oregon’s defensive front but he’s productive no matter his alignment. He projects as an edge rusher at the next level and this season, he has the No. 3 grade among edge defenders at 89.8 overall and he has 15 pressures (two sacks, five QB hits, eight hurries) on 84 rushes. Coming into the season, Gary was more athletic projection than productive edge rusher, and there are still some questions as he has a 63.1 pass-rush grade on 78 rushes, but he’s been strong against the run at 84.7. Gary needs to produce off the edge as a rusher in order to maintain his spot in the top 32. 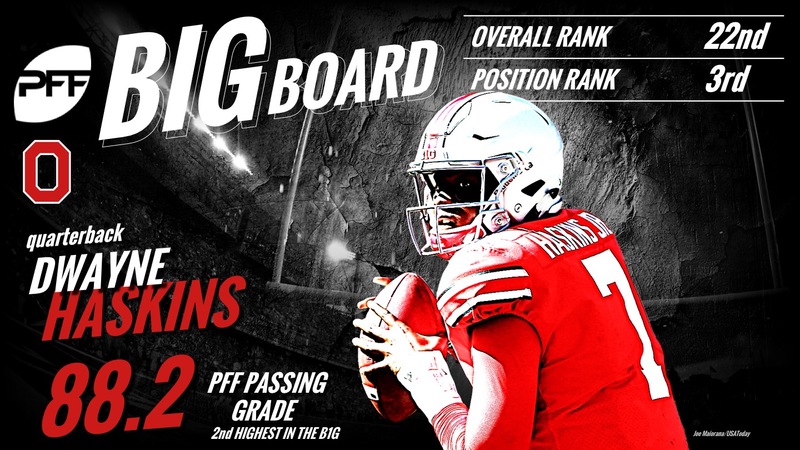 Emerging quickly as the best Ohio State quarterback in years, Haskins has a good feel in the pocket and he can throw with zip and touch to all levels. He’s only been pressured on 15 of his 97 dropbacks this season, so we’ll be keeping an eye on his how he works under heat as the Big Ten schedule unfolds. Johnson wins all over the field as he is a good route runner and he knows how to use his big frame to make contested catches in traffic. His 85.2 receiving grade ranks 12th the nation. An athletic projection coming into the season, Burns is tapping into his potential with a 79.8 pass-rush grade this year. There’s still more work to do as he posted good, not great, production last season, but he’s trending positively after three weeks of action. Samuel is off to a slow start after missing nearly all of last season due to injury. At his best, he is a slick route runner with strong after-the-catch ability, though we haven’t seen that full skillset since 2016. Allen made a name for himself with a 90.0 overall grade last year and he’s off to a great start this year, grading at 88.1 overall. Translating speed and athleticism into coverage production is the big key for Allen, and he’s grading at a strong 79.0 in that department this season. At 6-foot-1, 203 pounds, Oruwariye has excellent size and his ball skills have been on display this season with two pass breakups and three interceptions. Little moves well and he’s got prototypical offensive tackle size at 6-foot-6, 325 pounds. His production has been solid in his three years as a starter but there’s still room to improve in order to live up to the five-star pedigree. The pivot man on the nation’s best offensive line, Biadasz is an athletic run-blocker capable of excelling in a zone-blocking scheme and he currently owns the top grade among center at 87.4 overall. 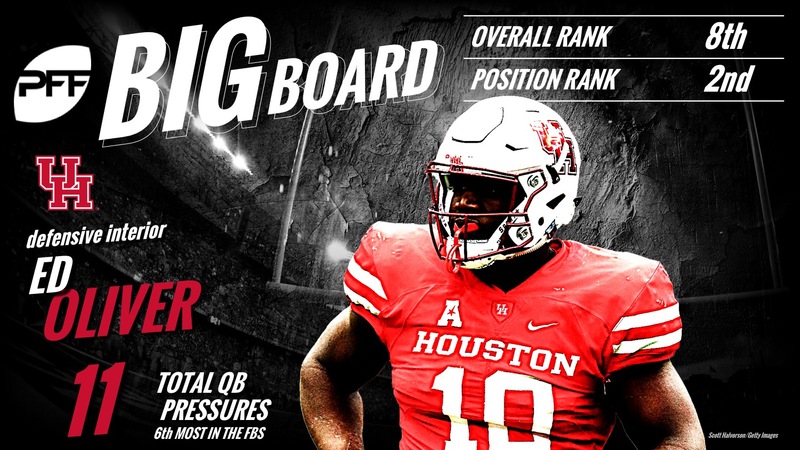 Tillery has shown continued improvement at Notre Dame and his ability to get after the quarterback has put him on the radar over the last two seasons. This year, his 90.4 pass-rush grade is tied for first among interior defensive linemen and he has three sacks, one QB hit and six hurries on 119 rushes. Like a few others on this list, there’s some projection to Wilkins’ game as he’s a better run defender than he is pass-rusher (91.1 run-defense grade ranks fifth in the nation, 74.1 pass-rush grade ranks 24th). He must continue to improve his pass-rush production. Montgomery creates yards on his own, whether running behind poor run-blocking or in space as a receiver. Last season, he set the PFF record with 109 missed tackles forced.